Book Online Budget Private Holiday Package to Egypt includes all Hotel accommodations,Airport Pickup and drop off ,Guided Private sightseeing trips in Cairo,Aswan and Luxor,Staying at 5 Stars Hotels in Cairo and Luxor 5 Stars Nile Cruise from Aswan to Luxor for 4 Days 3 Nights,includes all internal flights. In the morning, take flight to Aswan (8 am flight), Arrive in Aswan, check in to the Nile cruise ship, and start sightseeing Aswan with a visit to Philae Temple, then the unfinished obelisk, the High Dam and the Granite Quarries. Sunset sail on the Nile by felucca around Kitchener’s Island and AghaKhan Mausoleum. Enjoy the evening with the Nubian show aboard the ship. In the morning(3:00 or 11:30?, i hope 11:30) Abu Simbel trips then back to Aswan at noon. In the afternoon, sail down to Kom Ombo, visit God Sobek Temple, and then proceed to Idfu and spend the night there. 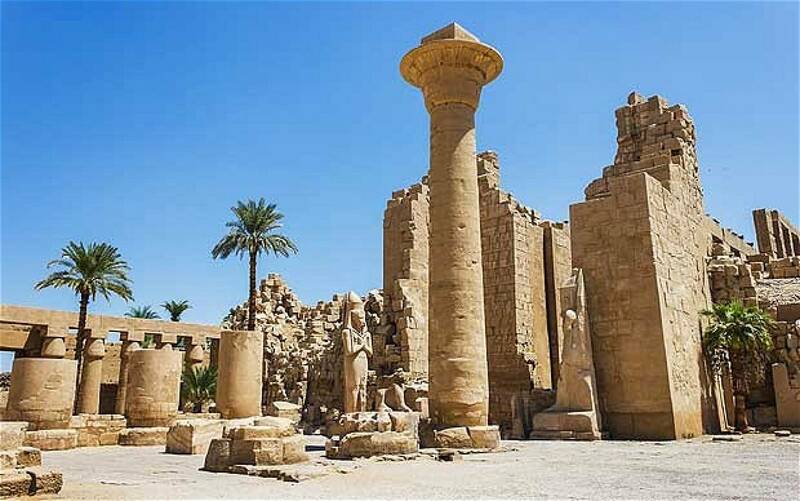 In the morning visit Horus Temple then continue sailing to Luxor, there visit Luxor Temple in the evening. Full day visit Luxor west bank - Valley of the Kings (including tomb of Ramses VI and Tutankhamen), Hatshepsut Temple, the Colossi of Memnon, Valley of the Queens, Valley of Nobles, Deir El Medina (Workers’ village), Temple of Seti, Madinat Habu, Ramesseum, etc. (Optional) 75 $ P.P Hot Balloon: Should you want to make your stay in Luxor an unforgettable. Drifting peacefully over the Valley of King, Valley of the Queens and the Mountain on the Nobles.Overnight in Luxor. 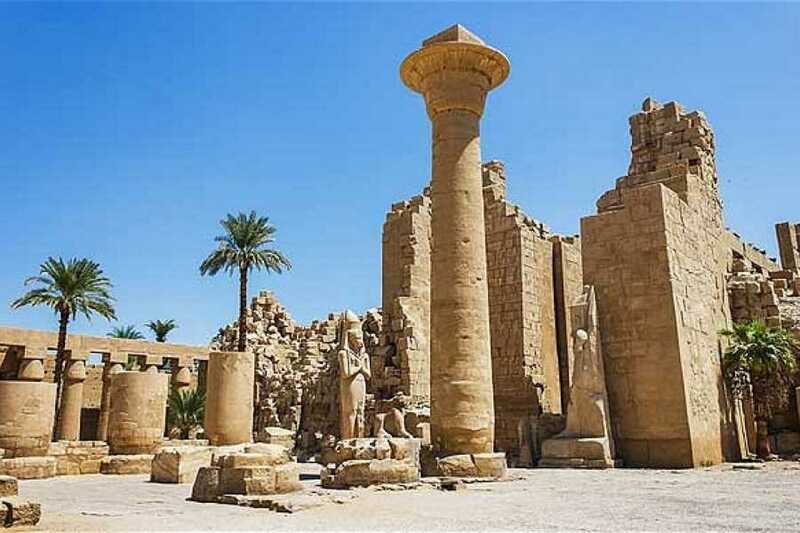 Breakfast at the Hotel then Start your half day tour Luxor & Karnak temples then transfer to Luxor airport to take (6.20 pm flight) take flight to Cairo . overnight in Cairo . Breakfast at the Hotel then at 8:00 am In the morning visit the Giza Pyramids & the Sphinx. Entrance ticket into the pyramid to be included. Breakfast at the Hotel then Check out around 11:00 am In the morning later atart your day tour visiting Egyptian Museum, Hanging Church, Saint Sergius & Bacchus Church, Jewish Synagogue of Ben Ezra, The Citadel of Saladin Al Ayouby, the Great Alabaster Mosque of Mohamed Ali Pasha, Khan el Khalili Bazaar.